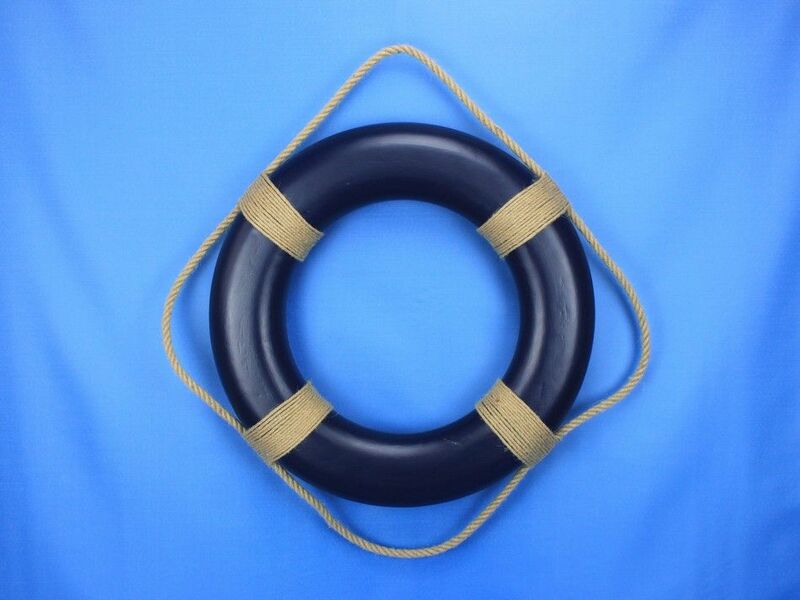 Perfect for bringing patriotism and nautical lifestyle into your home or office, the Decorative Blue Lifering wall plaque 20" is the ideal piece to create that soothing ocean mood in any home or office. 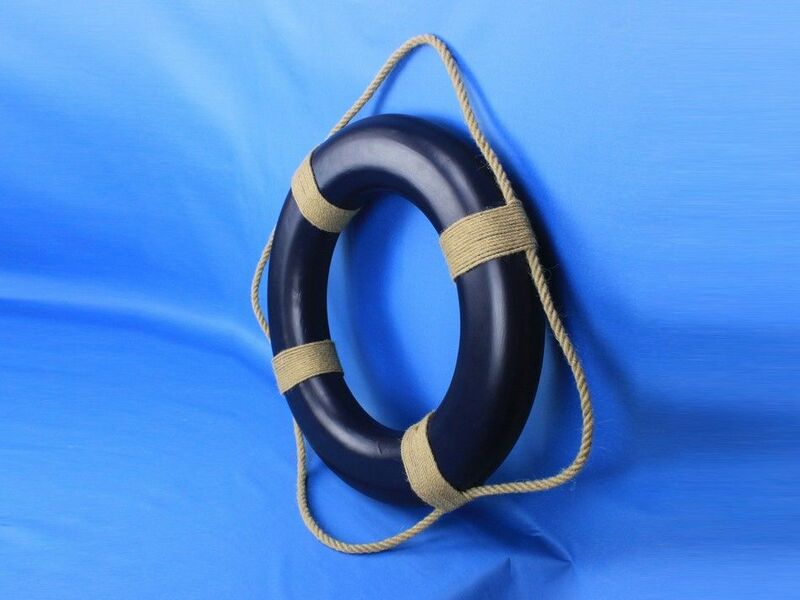 Lightweight foam construction themed after original vintage life rings, completes this stylish lifering. 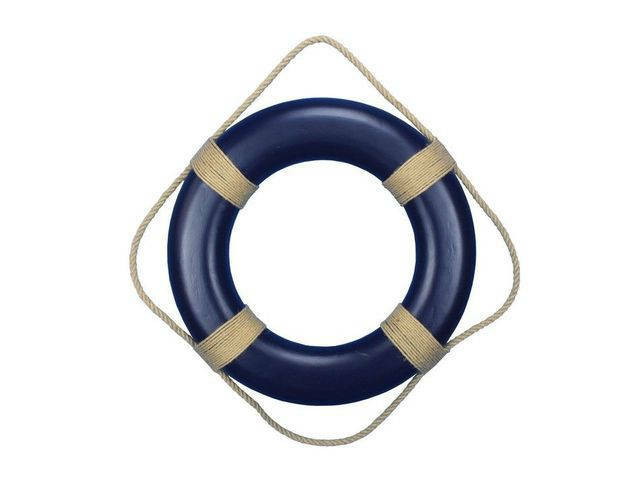 Transform any room into a seaworthy experience without the water. 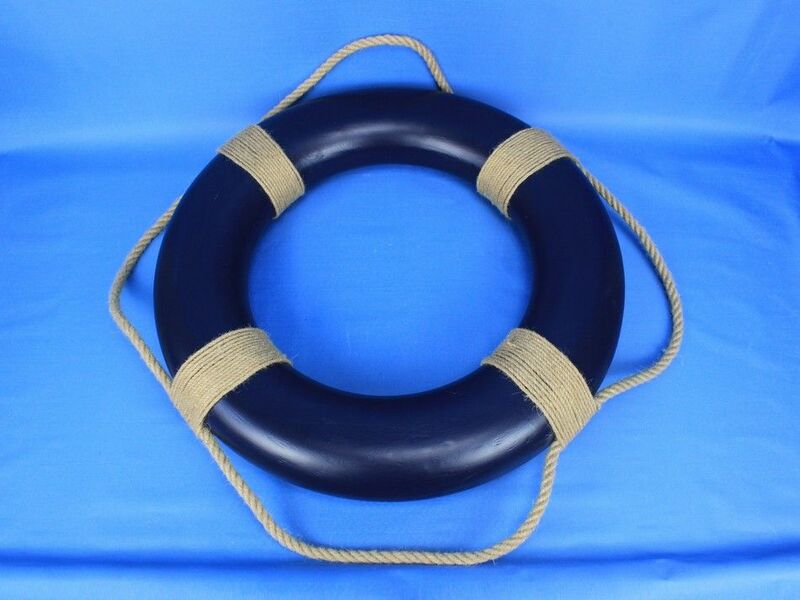 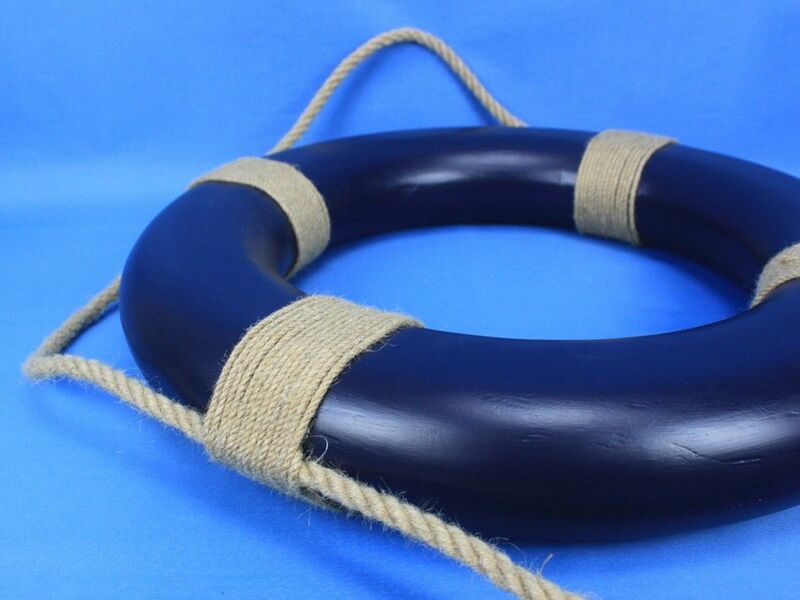 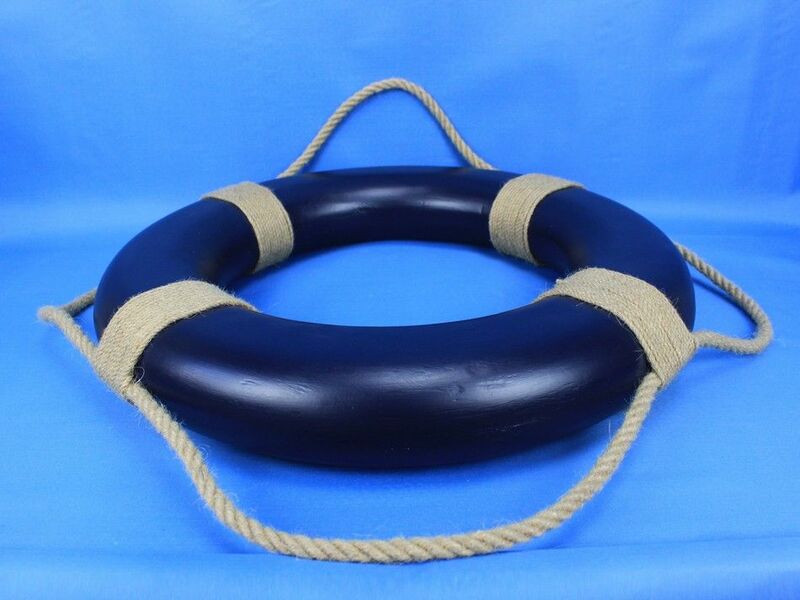 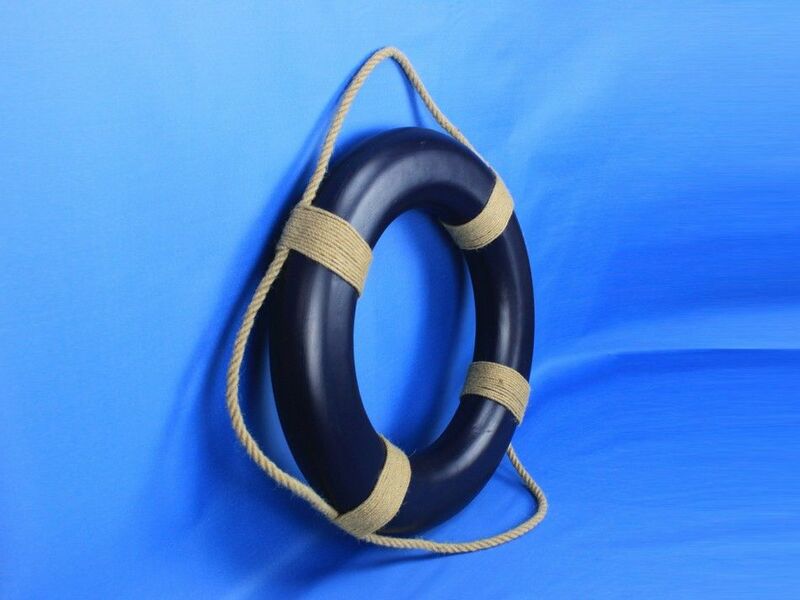 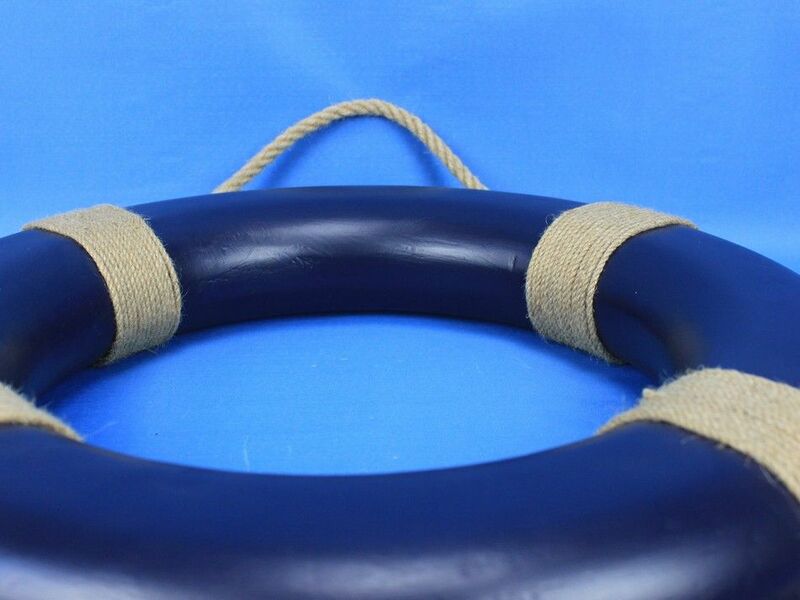 The 20" lifering has weathered canvas straps securing the grab rope to the lifering giving the appearance of many years out at sea.